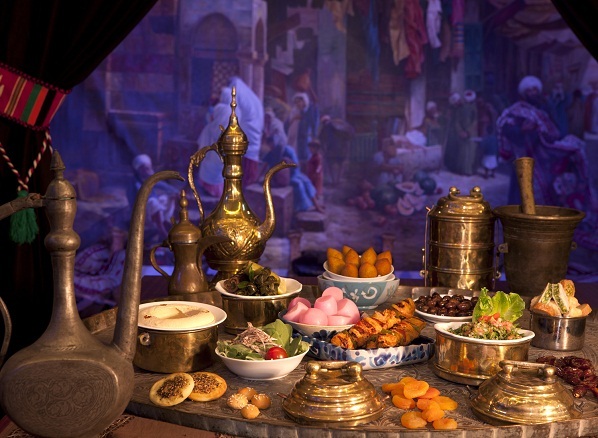 As the holy month of Ramadan gets underway, the hospitality industry is embracing this spiritual time with a range of iftar and sohour celebrations for guests to break their fasts in style with their friends and families. Breaking Travel News checks into some of the most luxurious and iconic Middle Eastern hotels from Dubai to Abu Dhabi, Qatar and Saudi Arabia, to find out how these properties are marking the occasion, with spectacular Ramadan tents and tasty feasts. 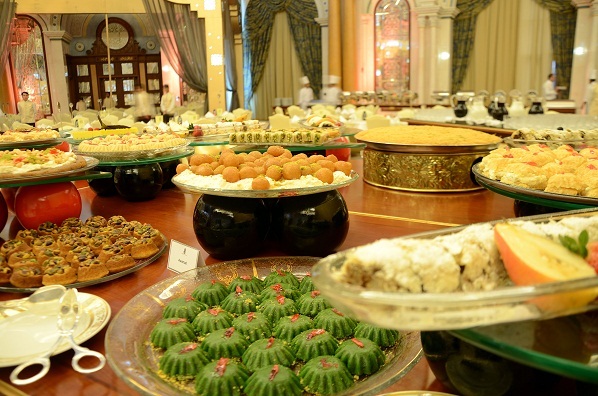 Guests at the The Ritz-Carlton, Riyadh can enjoy a refined Ramadan atmosphere with an array of savory delights served at the distinctive Ritz-Carlton Ballroom during Ramadan. “With the widest range of cuisine and the palatial Ritz-Carlton vibes topped with the legendary service that Ritz-Carlton is world famous for providing, guests are guaranteed a gastronomic experience to remember.” said Mikel Ibrahim , director of sales & marketing. 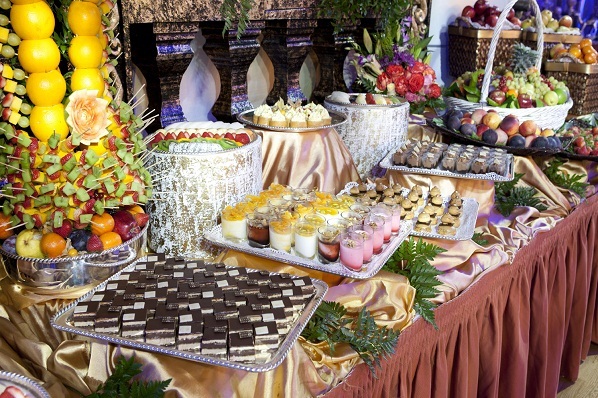 Guests are invited to share magical moments with family and friends and indulge in menu that will have enormous selections of traditional and international food at The Ritz-Carlton ballroom or enjoy the idyllic Arabian Iftar or Sohour at Al Orjouan Restaurant with abundant range of Ramadan specialties with a unique and relaxing atmosphere. 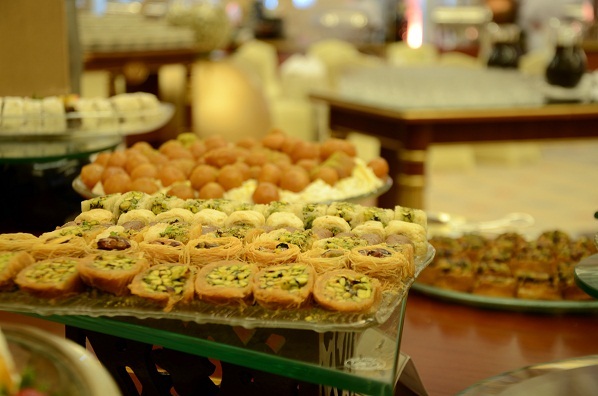 For private or group formal Iftar the Ritz-Carlton, Riyadh dedicated Catering and Conference Services team are on hand, in addition to Aubergine that will also host an Iftar buffet for private events only. Children are catered for with activities including reading their favourites books, playing with toys, puzzles or coloring books and watching movies. An assortment of traditional Arabian food, Lebanese, Egyptian, Indian, Asian and Global cuisine with various live cooking stations like Shawerma, Grilled Seafood, Pasta and Arabic Barbecue specialties are available - all courtesy of the Hotel’s Executive Chef. The Ritz Carlton Riyadh was voted Saudi Arabia’s Leading Business Hotel as well as Saudi Arabia’s Leading Luxury Hotel by the World Travel Awards in 2012. In celebration of the holy month of Ramadan, the Fairmont Bab Al Bahr is unveiling authentic iftar and sohour experiences with charitable contributions to a choice of local organisations, showcasing an exquisite art collection from a renowned Jordanian calligrapher. Guests at the Fairmont Bab Bahrm,named Middle East’s Leading Business Hotel, Middle East’s Leading Luxury Hotel, UAE’s Leading Business Hotel and Abu Dhabi’s Leading Hotel by the World Travel Awards, can break their fast with over 50 iftar buffet offerings showcasing Arabic, Asian and European menu items at CuiScene. During the holy month, specialised cuisines from the Middle East and North Africa will be highlighted, including Syrian, Lebanese and Emirati fare, from cold mezza’s such as Fetté Shamiyyé, a typical Damascus dish made of crushed flat bread, yogurt and chick peas to Makdous with stuffed eggplant in olive oil. Hot mezza items on the buffet feature succulent grilled skewers, roasted veal with zaatar and vinegar to Harries, a native Emirati dish of lamb or chicken cooked with wheat. 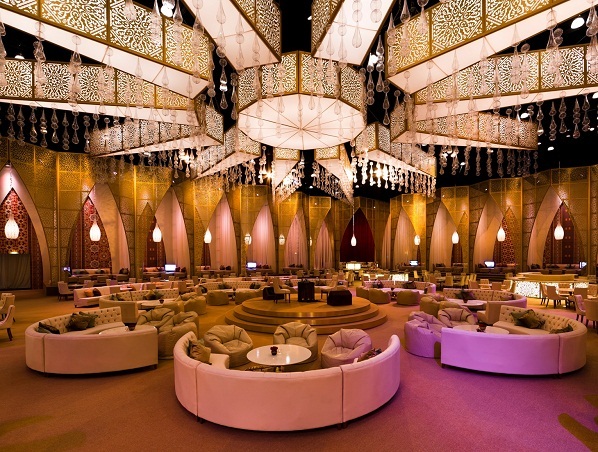 A 375 square metre, air conditioned Ramadan tent located adjacent to CuiScene and in close viewing distance to the Sheikh Zayed Grand Mosque, can accommodate upwards to 180 guests in a variety of seating arrangements for daily iftar and sohour (à la carte menu) and live cooking stations. This outdoor venue features staggering views of the sun setting across the Abu Dhabi Creek, and also showcases authentic music entertainment every evening, as well a range of shisha offerings to be enjoyed inside the tent. AED 10 from every iftar purchased will go towards a choice between two charities – the Special Care Centre in Abu Dhabi and Operation Smile, a worldwide children’s charity organisation that helps treat facial deformities such as cleft lips & cleft palates. Iftar buffet is available daily at CuiScene restaurant and the CuiScene Ramadan Tent during the holy month of Ramadan from sunset until 9pm. In addition, renowned Arabian calligrapher Hakim Al Taher is displaying some of his works in the Ramadan tent, playing tribute to purest expression of Islamic art, inspired by the Quran. An authentic Arabian experience awaits guests during Ramadan at the Wyndham Grand Regency Doha, named Qatar’s Leading Meetings & Conference Hotel at this year’s World Travel Awards. 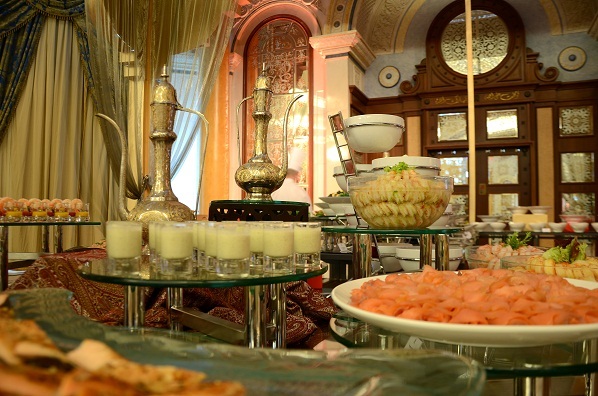 With elaborate decorations, staff in traditional costume and sumptuous buffets for Iftar, Ghabga and Sohour, whether part of a larger corporate party or an intimate family gathering, the hotel is offering guests a truly indulgent experience. The hotel’s 600-square-metre Al Qasr Ballroom provides the perfect setting for those wishing to host a larger scale event. Adorned with traditional Arabian decoration, guests can enjoy a lavish feast of salads, hot and cold Mezzeh and hot specialties including lamb and biryani. 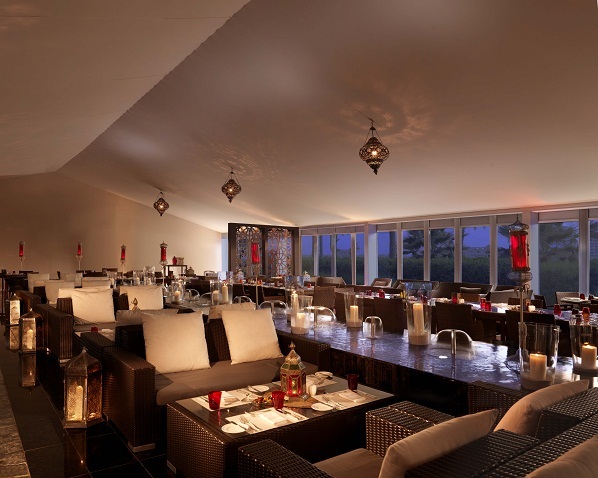 Those wishing to celebrate the holy month in a more intimate setting can do so at the hotel’s Grand Gourmet Restaurant. Designed with families in mind, the decoration and daily Iftar buffet will provide a unique atmosphere in which to celebrate the true spirit of Ramadan. As the last rays of light disappear during the holy month of Ramadan, La Cigale Hotel - named Qatar’s Leading Hotel by the World Travel Awards in 2012, is welcoming guests with their families, friends and colleagues to break their fast and savour a delectable souhour. 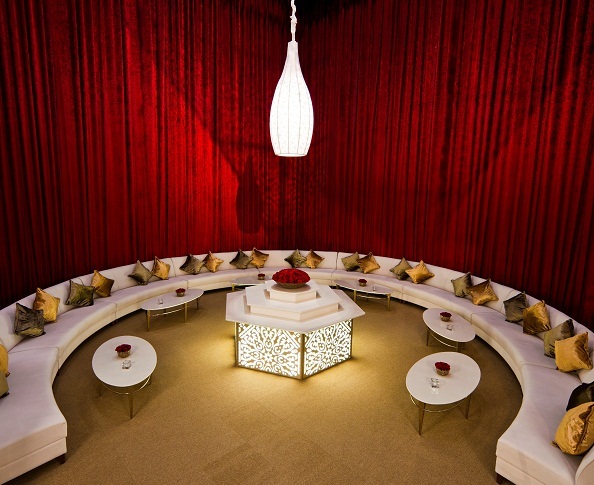 Ramadan Tent at La Cigale is considered a centre of attraction in Doha with the exclusive ambiance around the spangled indoor swimming pool. 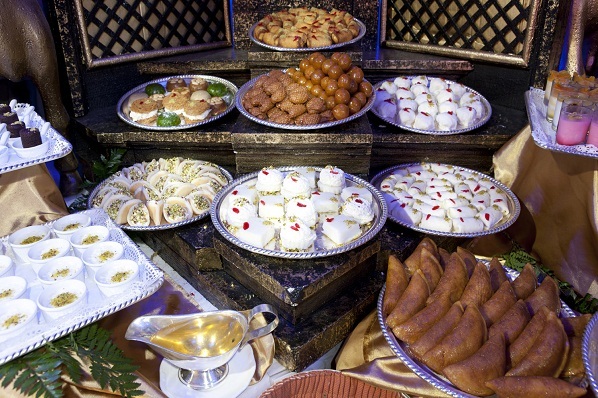 Soft, traditional Arabic entertainment in addition to a wide variety of traditional Arabic dishes, international favourites and mesmerising sweets. An opulent buffet of Le Cigalon features traditional mezzeh, salads, Oriental and International main dishes, live cooking stations complemented by tantalising desserts. All the oriental aroma is found at Shisha Garden where the best selection of mezzeh, barbecue grills, oriental delicacies, smoothies and of course Shishas in town. Shisha Garden is equipped with advanced cooling system to overcome the sunny summer and enjoy the live traditional Arabic melodies. This Ramadan and as usual, Doha’s finest gourmet haven, La Cigale Traiteur highlights renowned Arabic sweets, flavoured chocolates & cakes and gift hampers filled with the tastiest fresh delicacies. Hosts wishing to arrange for a lavish Iftar at the comfort of their homes only need to mention their preferences from different options of buffet menus to our dedicated catering team. Set against the mesmerising backdrop of Madinat Jumeirah in Dubai and located within the Conferences & Incentive Centre, Al Majlis offers the ideal venue for unforgettable Ramadan experiences. An elegantly designed indoor 2,500 square metres air conditioned venue, built specifically to mark the requirements of those breaking the fast, guests can experience a harmonious blend of traditional Arabic hospitality within a contemporary environment. 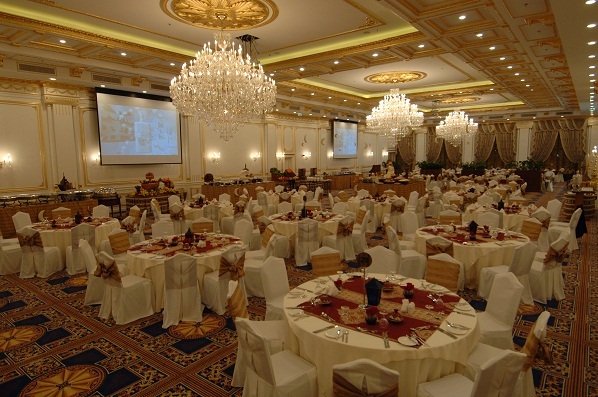 With a seating capacity of up to 750 guests in its dining and lounge areas, Al Majlis is the perfect place to host professional events of any magnitude.